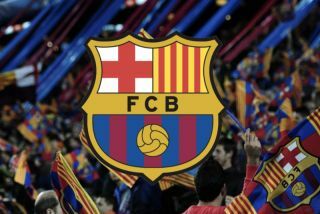 Barcelona have reportedly identified three transfer targets in their bid to add quality and depth at left-back with Ferland Mendy emerging as their top choice. The Catalan giants have an issue in that role as they clearly lack options beyond stalwart Jordi Alba. Although the 29-year-old appears to have plenty left in the tank, it would seem like a sensible strategy to either bring in competition or a long-term replacement to ensure that they’re well covered in that department, and it appears as though that’s what Barcelona are planning to do. According to Mundo Deportivo, Lyon ace Mendy is top of their transfer shortlist, with he 23-year-old continuing to impress this season with three goals and three assists in 31 appearances, while also doing his job defensively. Given the style of play Barcelona adopt and the importance of their full-backs getting forward and offering width, Mendy appears to tick the right boxes in both phases of the game and so he could be a useful addition if a deal can be made with Lyon. However, he isn’t the only one on Barca’s radar, as the report adds that Atletico Madrid veteran Filipe Luis could be another option, with a view of offering depth and allowing the reigning La Liga champions to wait on the progress of youngster Miranda. Further, it’s added Real Betis left-back Junior Firpo could be an alternative, albeit he has a €50m release clause in his contract. Similarly to Mendy, he’s still young at 22, and with three goals and two assists in just 20 outings this year, he has proven that with his pace and tireless work-rate to get up and down the left flank, that he can offer a similar impact to Alba if he were to be signed as a long-term successor to the Spaniard. In addition, it could be argued that he has a clear advantage given he has already adapted to Spanish football and could be a safer bet if Barca are forced to splash out.